One bright spot in an otherwise sad week. 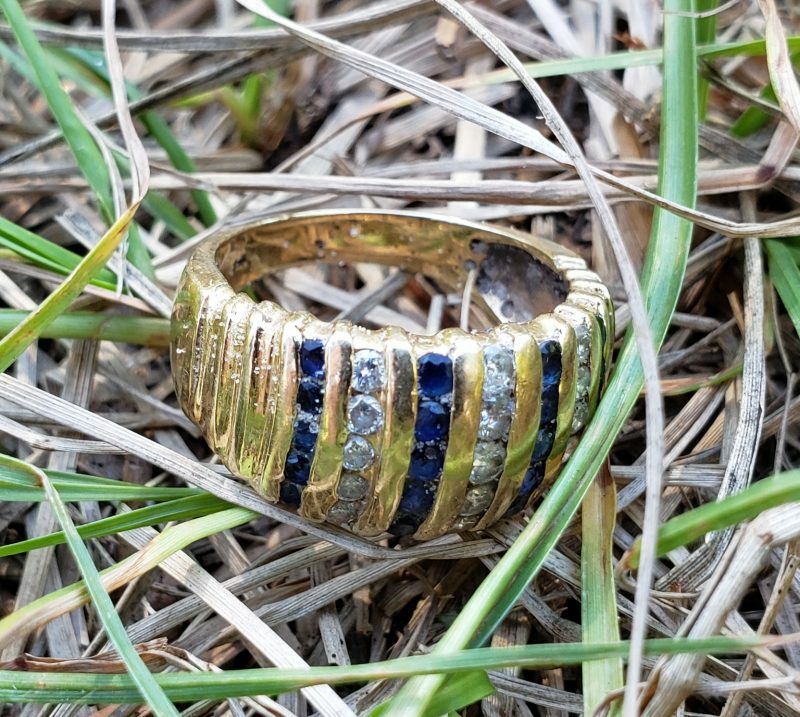 Joan’s husband passed away just last week and was heartbroken to lose a ring he had given her. She was throwing pine needles off her second story balcony when her ring slipped off her finger. Family, neighbors, and the yard man all searched in vain. She was directed to SRARC where a team was assembled. District Captain Howard Metts, Dimitur Alipiev, and Paul Hill arrived at 2pm sharpe. Introductions were done as Joan explained where she was standing overhead. At that point Dimitur turned and said here it is. The look of astonishment was actually on ALL our faces. Joan fought back the tears and was so thankful to have the ring back. She couldn’t believe it wasn’t found before our arrival. We never took our detectors out of the cars. This is one of those special times when we know we just made a complete stranger very happy.